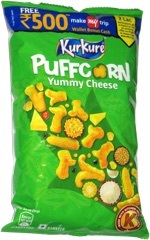 Taste test: These chips had a good potato taste on first bite, but once the flavor powder started to kick in, the taste went downhill. 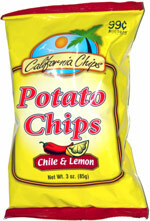 The combination of chile and lemon wasn't awful, but it just didn't have many fans around the chip bowl. There was a bit of heat to the taste, and quite a bit of heat in the aftertaste. Smell test: Not much of an aroma, not bad, but not like chile and lemon.